Whenever it comes to SEO tools there are quite a lot of options are available. However talking about one of the popular tools, then it is definitely the Semrush. Also apart from the Semrush, we have also come across to this all in one SEO tool called Serpstat. 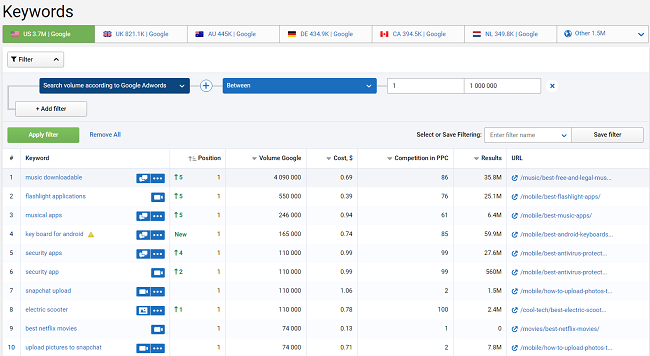 Serpstat comes with inexpensive pricing where Semrush has a premium pricing. So we thought about comparing both of these tools and tell you about it. Talking about the Semrush, it exists on the internet for so many years and has gained worldwide recognition. Where on the other hand the Serpstat is rapidly growing platform. So the question is as a digital marketer, which tool should I pick? Well to know the answer to this question, simply read on, and we will explain the whole thing to you. 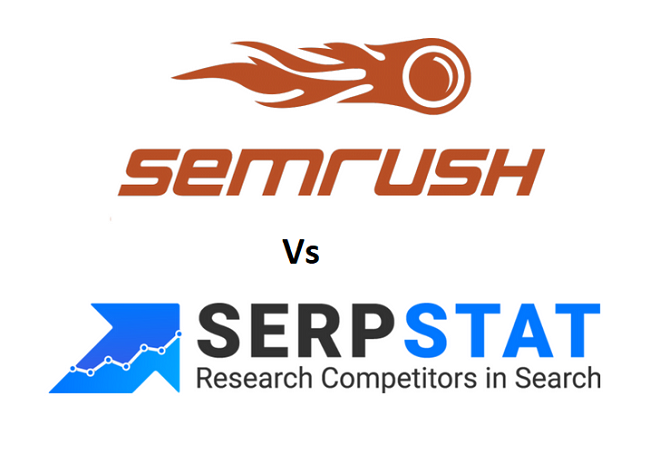 Serpstat Vs. Semrush: Which one is better? In simple words, we would say that Serpstat and Semrush have pretty much the same features. But Serpstat offers a little extra. However to get a better idea about both of the tools let’s talk about both of the tool's features. Domain Analysis a feature that both of the tools are offering. Now the question is how accurate data they are providing? When we checked the blog URL on Semrush, we have seen that the Semrush has displayed only nine organic keywords. At the other hand, the Serpstat has come up with a number of organic keywords of 37. Now talking about the comparison, well, in this case, Semrush is the winner. Semrush has shown almost all the accurate organic keywords. At the other hand, the Serpstat showed the exact organic keywords along with the low searched keywords. It is like Semrush searches all the organic keywords of your websites and brings up the most search volume keyword. But Serpstat does not do anything like that. However, we should remember the fact that Serpstat is a comparatively a new tool and it needs to go a long way ahead. The primary purpose of competitor research is to steal the keywords of a website. Even it is one of the top SEO aspects. Hence Serpstat and Semrush are offering the feature. But the question is which one is best when it comes to competitor analysis? In this case, the winner has to be the Serpstat. As it offers quite a lot of features, that helps the user to do competitor analysis in the easiest way. At the other hand, the Semrush does the job in a pretty good way. But the thing about Serpstat is that it offers much more information compared to Semrush. The Backlink Analysis is another SEO aspect where Serpstat has received a win-win. During our testing, we have found that Serpstat has shown more backlinks number compared to the Semrush. Also, we have found that Serptstat offers a much detailed report compared to the Semrush. On the Semrush, you will not find stats like indexed backlinks, referring pages and so on. Hence Serpstat comes handy if you are trying to steal your competitor’s backlinks. As backlink analysis will give you an idea of how many backlinks you would need to rank your blog. Also, it offers you more opportunities to create backlinks. Also, it’s very comfortable to use Serpstat as they can give you a custom plan for backlinks and you should not pay extra money for other features you don’t work with. Site auditing is another essential part of SEO, and thankfully both of the tools are offering the feature. Now that you can clearly see that Semrush is offering more features when compared to Serpstat. So it is clear that when it comes to site audit, Semrush is the winner. But again, it entirely depends on your needs. If you do think that Serpstat could easily satisfy your requirements, then there is no meaning going with Semrush. But if you need more features, then you already know the answer. 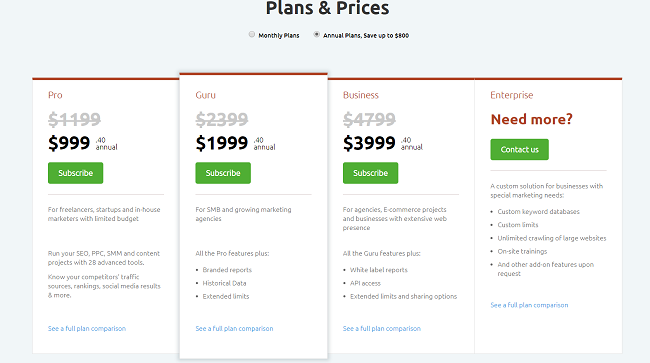 When it comes to pricing both of the tools has a huge pricing difference. Where Semrush holds an expensive price tag. The Serpstats offer the same features at an inexpensive price tag. 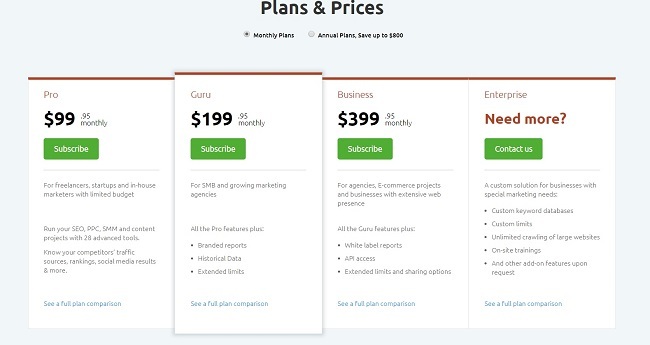 Serpstat’s pricing is divided into two parts. One of them is the personal and the other one is business. After reading the above points, we are pretty sure that you have understood which one is better. However, if you ask us which one is better? Then we would like to mention that, it ultimately depends on your needs. As a new tool, Serpstat offers excellent features with the most accurate data. Also, you can use their Multi user system to control the work of your SEO team. Their API helps you simplify the whole process of data collection. Hence, there is no harm in paying for their plans. But if you are running a well established digital marketing company, then you should go with Semrush. However, you can also get a Serptstat plan to see how it is working for you and then make a decision. With that said, that was all for the Serpstat Vs. Semrush Review. Now go ahead and check both of the tools out and settle with the one that satisfying your needs.